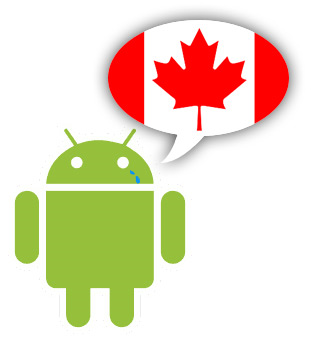 While everyone rejoices about the Droid receiving 2.1, Android users north of the border are still waiting for their update. Canadian Milestone owners will be waiting a bit longer for their live wallpapers, it seems, as the Motorola Canada Facebook page reported Tuesday that the 2.1 update is TBA. A lot of you are asking about the upgrade from 2.0 to 2.1. Ultimately, we want to ensure you have the best possible experience on your device; as a result, the rollout is taking longer than expected. Though we don’t have the new deployment date to share just yet, we do promise we are working to get you updated information and will let you know as soon as possible. Thanks for your patience. We appreciate it! Hopefully we Telus customers won’t be left waiting for long; some of our Android friends over on the Rogers network are still waiting for Android 1.6.